We finally have a date, folks! Chevrolet has ended months (years, actually) of intense speculation and spy shots by announcing that its highly anticipated, eighth-generation (C8) 2020 Chevrolet Corvette with a mid-engine layout will be revealed this summer. Go ahead and circle July 18 on your calendar! That’s less than 100 days away—and sooner than the rumoured introduction at the end of August during the National Corvette Museum’s 25th anniversary celebration. The location of the unveiling, however, will be disclosed sometime in the next few weeks. 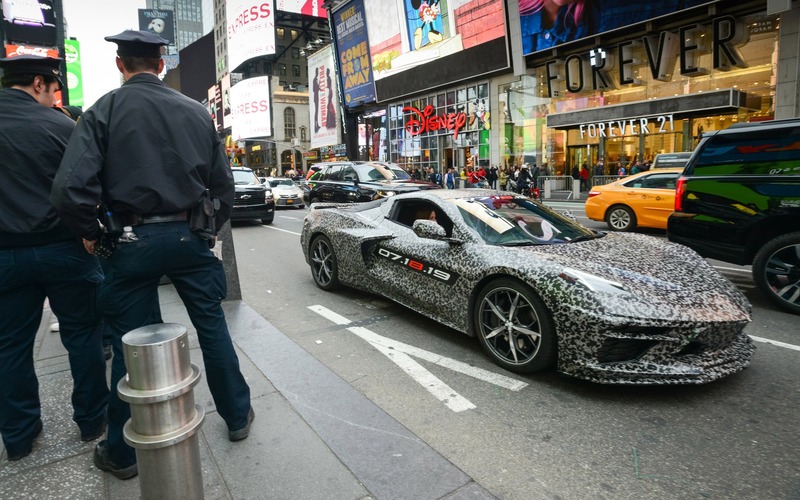 A camouflaged prototype has been seen driving around Manhattan with General Motors CEO Mary Barra in the passenger seat, but the timing was too tight to have a launch at the New York Auto Show next week. Testing isn’t even finished yet. You can go back and read our report from last month that presented all the latest rumours about the mid-engine C8 Corvette. Notably, production is expected to begin in December of this year, with deliveries starting around February of 2020.